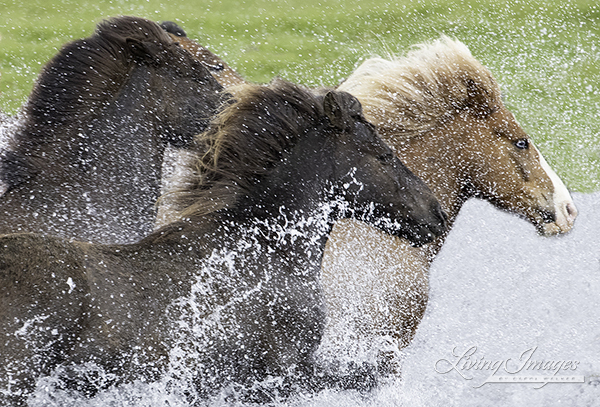 In traveling to Iceland last month to photograph the Icelandic horses I was stunned by the beauty of the horses and the landscape. 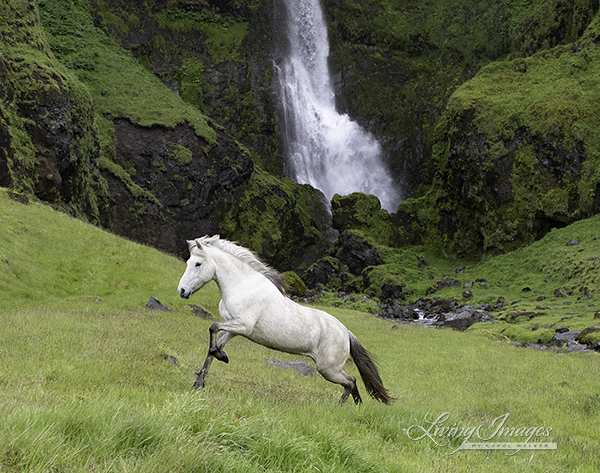 A large group of Icelandic horses ran in front of this beautiful little waterfall, and bringing up the rear was this stunning grey horse, running to catch up with his friends. 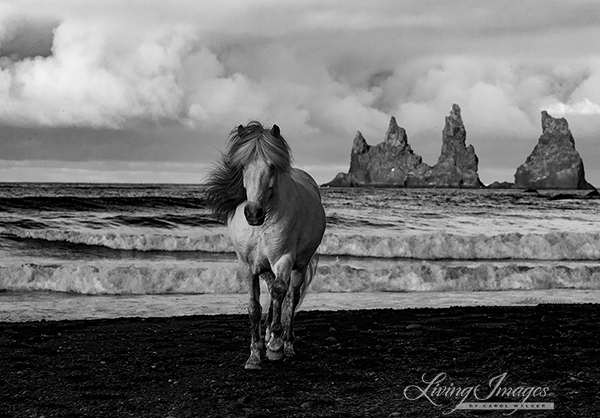 The stunning grey mare named Una walks on the black sand beach with the iconic Reynisdrangar rocks near the town of Vik behind her. A group of Icelandic horses run across a stream and as they splash through the water, I see a stunning blue eye through the water.